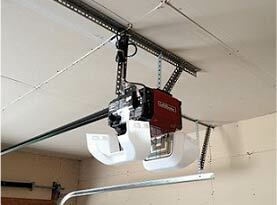 When it comes to the garage door, few want to put in money where it is not needed. Once the initial investment is done, homeowners often want to avoid measure expenses. There are a few things you can implement to help the longevity, performance, and overall health of your garage door so you can avoid costly repairs and we at United Garage Door Service of North Las Vegas would like to share a few suggestions today. Where your garage door is concerned, “this opportunity is too good to be true”, and “you get what you pay for”, and others reign true, though some may argue that a quality is not mandatory for your garage door. When it comes time to replace your outdated or damaged garage door, opting for one with higher quality is vital and electing a garage door company to acquire your garage door is where it starts. To help you find quality options for your budget and home, a reputable professional is more than beneficial. The garage door needs to do more than look good. To handle its intended use, the garage door needs to be durable, resist the elements of the climate you’re in. The better the door, the less repairs are needed. The right garage door that is well-insulated, durable, fits your lifestyle, and the home’s style is necessary and a pro can do that and answer your questions along the way. Though investing in quality is a good starting point, your efforts can’t stop there. Maintenance and care play a role in the condition, performance, and longevity of the garage door just like everything else you own. Every couple of months, the garage door needs a few minutes of your time to lube the necessary parts and ensure everything is working accordingly. The more maintenance services you schedule throughout the year, the better off your garage door will be, but at the bear minimum, schedule a professional annually for a tune-up. For the overall health of your garage door, professionals include garage door maintenance, inspections, and tune-ups in their services. 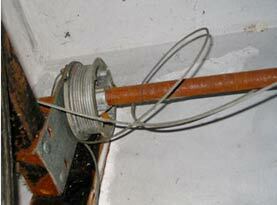 To prevent added wear that only extends that damage, tackling the minor issues quickly is key. There is the accidental issues or slight wear to the components that come up from time to time that many people brush off to take care of too late. Though they may seem miniscule, repairing the seemingly small things will prevent worse damage and keeps the garage door operating well without too much inconvenience waiting on repairs. 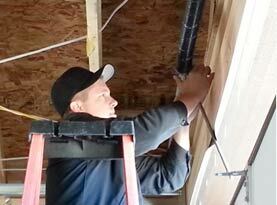 These days, more and more people are performing their own home repairs and improvement projects. 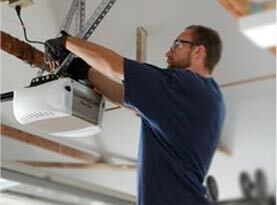 The garage door is one important aspect that you leave licensed and qualified technicians. The largest and heaviest moving component of your home is the garage door. To ensure the garage door is repaired safely to avoid severe injuries and property damage, there is a specific skill-set, training, and special tool, equipment, and parts are a necessity. The furthest DIY maintenance should go is lubing the essential parts and keeping the components clean, everything beyond that should be done by a certified technician. When you need the assistance of an experts, call United Garage Door Service of North Las Vegas immediately and let our technician ensure safe, efficient, and top quality services to preserve your garage door. Contact us today!